This fine property is located on a corner site and overlooks a beautifully maintained green area. Number eight Grove Mount comes to the market in very good repair, both externally and internally. The accommodation includes four bedrooms with one ensuite, a large family bathroom, kitchen/dining area, utility room, living room, entrance hall and WC. Other features include Velux windows in the upstairs landing area, double aspect windows in the living room, a solid fuel stove with back boiler, quality fitted Venetian blinds, tiled and wooden floors, an integrated fridge and dishwasher, an electric shower in the ensuite, and much more. The large back garden is cleverly divided into two areas. One features a secure shed and cemented area while the other contains another shed and play area. 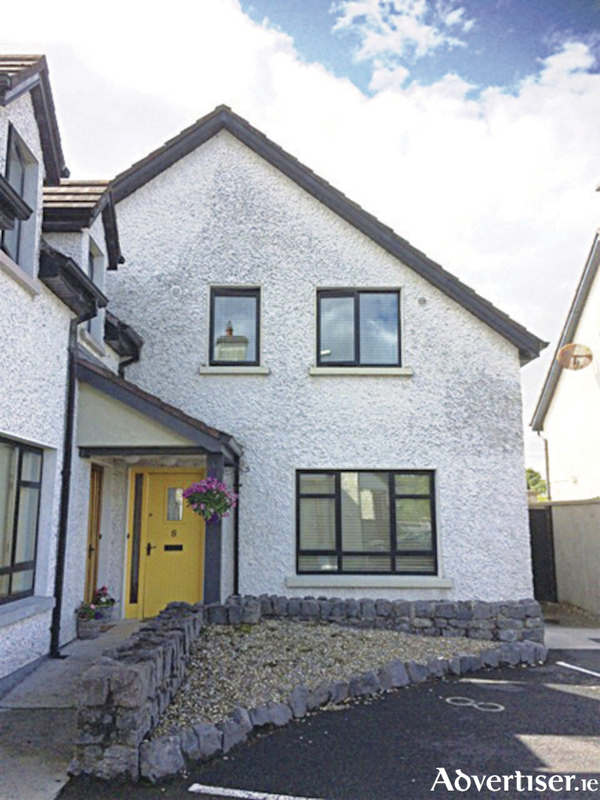 This home is neatly nestled on a corner site within this lovely, very well maintained estate, located just a few minutes from Moate town. For more information call O’Roarke Brothers on (090 ) 6481237.